Testimony on Reasonable Probability of Zoning Change Not Limited to Real Estate Appraisers - McKirdy, Riskin, Olson & DellaPelle, P.C. In a recent dispute before the Tax Court, the court addressed the issue of whether only a real estate appraiser may offer testimony as to the reasonable probability of a change in zoning of the subject property as of the relevant valuation dates. In Ciba Specialty Chemicals Corp. v. Twp. 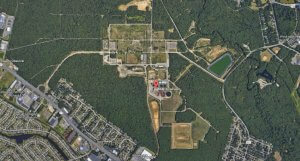 of Toms River, the taxpayer challenged local property tax assessments of its property in Toms River which consisted of 1,200 acres of what was once the site of industrial operations. All commercial operations at the property ceased some time in 1996 and the buildings were subsequently demolished. The industrial activities on the property resulted in contamination of the site and the site was eventually designed as a Super Fund site by the federal government. Remediation efforts began in 2004 and at the same time, Ciba filed property tax appeals beginning in 2004 through 2011. Both parties recognized that despite remediation efforts, certain portions of the subject property cannot be developed due to severe contamination. Based on precedent, both parties also recognized that contamination and remediation costs must be taken into account when determining the true market value of the subject property on the relevant valuation dates, and the court had already determined prior to trial that any adjustment for remediation costs will be applied to the value of the entire approximately 1,200-acre parcel, and not just the portion of the parcel that was contaminated. The parties however were divided on the issue of whether there was a reasonable probability of a zoning change as of the relevant valuation dates. The Township argued that there in fact was a reasonable probability of such a zoning change consistent with the township’s designation of the subject property as an area in need of redevelopment. However, redevelopment never place of the property nor did the township ever change the zoning in place at the property from industrial to residential accommodate residential development. The Tax Court ordered trial ready reports to be exchanged to offer testimony on the reasonable probability of residential development of the subject property. The Township’s report was prepared and signed by four people, none of whom is a licensed real estate appraiser and the Township intended to call the principal author as its expert witness. Plaintiff argued that the absence of a licensed real estate appraiser in its report bars the municipality from meeting its burden to prove that a change in zoning to permit residential development was reasonably probable on any of the relevant valuation dates. Furthermore, plaintiff argued that the opinion upon which the Township intended to rely upon was a net opinion since the report was not prepared by a licensed real estate appraiser. The Township argued, and the Tax Court agreed, that a licensed real estate appraiser is not the only witness that can offer testimony as to the reasonable probability of a zoning change. The Tax Court further rejected plaintiff’s argument that the opinion intended to be offered by the Township was a net opinion given that the report provides sufficient facts detailing the subject property, its history, and potential for development. In sum, the Tax Court deemed that any deficiencies in the witness’s report and intended testimony must be determined at trial, not through motion practice, and thus, plaintiff’s motion for partial summary judgment was denied. A copy of the Tax Court’s opinion on this issue can be read here.